Who is responsible for PD? 1. No one knows better WHAT YOU NEED than YOU. 2. No one knows better HOW you learn than YOU. 3. No one knows your students better than YOU. 4. Even if someone else plans the PD and makes you attend, the LEARNING part is still up to YOU. 5. Even if you are made to sit through PD and learn something, the only person who can bring it back to your classroom in order to impact students is YOU. The common theme in all of this is YOU. 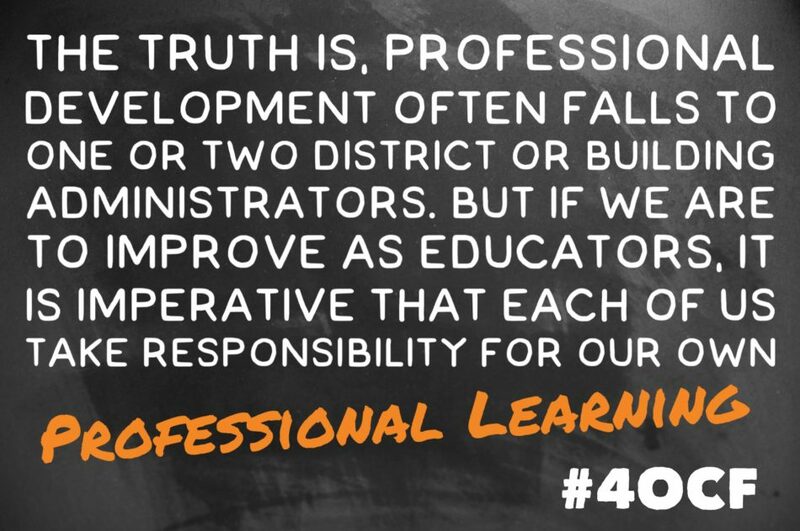 The truth is, Professional Development often falls to one or two district or building administrators. But if we are to improve as educators, it is imperative that each of us take responsibility for our own professional learning. Check out The Four O’Clock Faculty: A ROGUE Guide to Revolutionizing Professional Development for more ideas on how you can take charge of your own professional learning.